If your snake has a health problem, you should take them to the veterinarian. But if you were to ring your family vet and ask if they could treat your snake, they might say no. 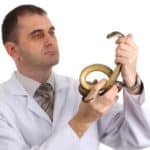 Do all vets treat snakes? No, many vets don’t treat snakes or reptiles. That’s because they’re anatomically different to mammals, and most vets specialize in mammals. Many vets treat reptiles generally, and these are fine for treating snakes too. You can also take limited steps to heal your snake at home. 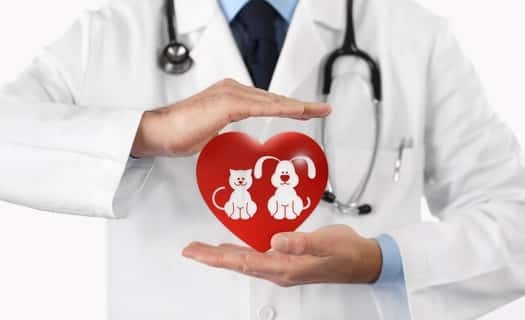 Ideally, you should find a vet that you can build a long-term professional relationship with. Breeders will have a go-to vet, for example, that can help them with everything. It’s vital that you, too, have a vet you can turn to in your snake’s hour of need. 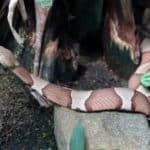 1 Why Don’t Most Vets Treat Snakes? 2.1 What If You Can’t Find a Vet for Snakes? 2.2 Who Else Can Help with Snakes? 2.3 Can I Treat My Snake at Home? Why Don’t Most Vets Treat Snakes? Lots of vets treat reptiles generally, and snakes specifically. These vets can do anything that other vets can, including administering antibiotics, helping with infected wounds and sepsis, and even assisting female snakes to give birth. So why can’t all vets do the same, if the job is so similar? Regular vets don’t always treat snakes because first, their physiology is different in many ways. A snake’s reproductive system, for example, is different from that of a mammal. While they have much of the same organs like ovaries and testes, these organs may be in a different place. Snakes have cloacae, which mammals don’t have. There are also other differences, like the fact that many snakes have just one main lung. Why does that make it difficult for a regular vet to treat a snake or reptile? Because to be a vet, you have to study and understand the body of each animal you treat. A vet used to working on cats, for example, wouldn’t be comfortable working on a person because certain things might be bigger, smaller, or in different places to what they would expect. That would put the person’s life at risk, so the vet couldn’t help them. The same applies to animals like snakes that they’re not used to. Not only that, but vets don’t always treat exotics. Exotics are any animal that’s not considered a common pet, or is native to the state/country the vet works in. They are more difficult to treat than your average pet, because the vet is less likely to have studied them, or to encounter them. 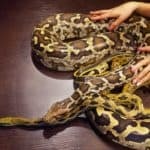 There’s understandably less money in treating carpet pythons than there is in treating dogs. That’s because while every other household has a pet dog, only one in a thousand (and perhaps far fewer) will have a carpet python. If you were to set up a vet’s clinic treating only carpet pythons, you’d hardly have anything to do, because they’re uncommon. So, when a vet sets up a practice, they’ll most likely focus on cats, dogs, and other similar common pets. We don’t need to tell you that snakes are broadly misunderstood by the general public. No doubt you’ve encountered people who think that snakes are slippery or slimy, or have recoiled in fear from what they perceive as your highly venomous ball python. 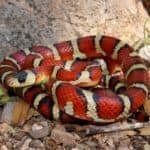 Every snake owner has similar stories to tell about people’s reactions (and overreactions) to their pet. Whether it’s because of scary stories, they heard when they were young, or because of the way snakes are portrayed in the news, most of the public is frightened of them. According to Live Science, much of this phobia is ingrained in us from the days when we used to live outdoors. So, unfortunately, people can’t help that they’re afraid of snakes. This generalization doesn’t necessarily apply to vets, all of whom are far better educated about animals than most. But vets are people too, and the staff at your vet’s clinic might not be comfortable being around or treating a snake. If you have a vet for other pets (e.g., family pets like dogs and cats), then it’s worth giving them a call to see if they have anyone there that will treat your snake. There may be one vet there that specializes in treating snakes and reptiles. Aside from that, the easiest way to find a veterinarian that treats snakes is online. All you have to do is search for vets that treat snakes in your area. As a note, you’re much more likely to find vets that treat reptiles generally, rather than snakes specifically. Don’t worry, because these vets know exactly what they’re doing. Snakes are similar to other reptiles, and vets will often specialize in the whole class of reptiles than just one kind. Be prepared to travel, though. If you don’t live in a city, then you might have to travel to one to find a suitable vet. What If You Can’t Find a Vet for Snakes? Depending on where you live, it might be difficult to find a vet for your snake. While not all conditions are severe enough to require immediate intervention, this can be quite stressful, since nobody likes to see their pet sick. So what can you do if you can’t find a vet for your snake? Scale rot is caused by sitting in a soggy substrate, where bacteria have been breeding. Mouth rot is caused by the same bacteria, which enters an untreated wound in the mouth, usually where a tooth/fang snapped off. Respiratory infection is in part caused by the temperature in your snake’s enclosure being too low for them. A retained shed is caused by your snake’s enclosure being too dry. Take a look at your snake to see the severity of the problem that’s affecting them. 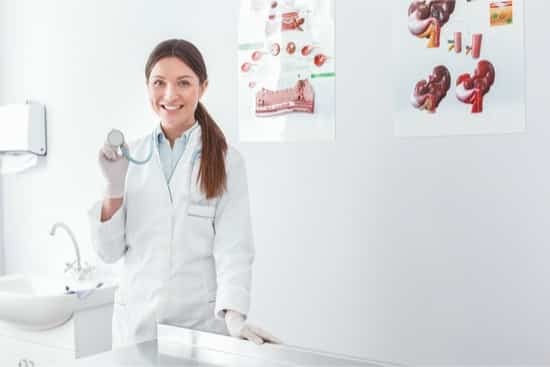 This will require more extensive research into the particular condition you suspect they have, some of which at least can be done right here on our site. If the problem isn’t severe yet, adjust your snake’s conditions. That could be making the temperature higher or lower, humidity higher or lower, or just cleaning your snake’s enclosure more frequently. If you get their conditions right, and your care for them improves, you should see some improvement. If you don’t, that’s when you have to see a vet. And an exception is when you think they might have sepsis, which can kill very quickly. You should be aiming to improve their conditions anyway! Who Else Can Help with Snakes? If there isn’t a vet that you can reach, you can still find help for your snake. You can ask around online, either on sites like ours or on forums, to get a better idea of how to help your snake. Advice on cleaning wounds, for example, could help you. If you’re in a pinch, you could ask a local breeder or experienced owner for help. The snake-owning community is welcoming and helpful. You could perhaps ask the breeder you bought your snake from for help, and they’re highly likely to know what to do. Pet shops are an exception. Pet shops that sell a wide variety of animals, and hire regular people rather than hobbyists to work there, aren’t a good source of information. If you know for a fact that somebody who works there owns snakes, then they might be a good port of call. But otherwise, they’re unlikely to give you sound advice. 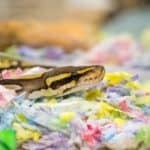 Can I Treat My Snake at Home? Treating your snake at home is possible for some conditions, but not for others. As we said above, making your snake’s enclosure more suitable in one way or another is an excellent way to begin treatment. But aside from that, there’s more than you can do. If your snake has an open wound, you can use a Q-tip to administer the antiseptic solution to it. Use iodine, Nolvasan or Betadine to kill the infection before it spreads to the bloodstream. The same applies to scale rot on the underside of your snake. Change their substrate before using antiseptic to stop the infection from getting any worse. In other circumstances, very little has to be done anyway. If your snake has a burn on their underside from sitting on a heat source for too long, this might hurt them, but it’s best to leave them alone. Over time their injury will heal. To an extent, treating any medical condition requires home care. But if you’re not sure what you’re doing, you should call a vet. You wouldn’t want to be responsible for your snake’s worsening health. How Do Snakes Get Mites? 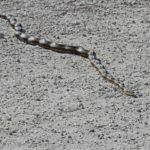 What Is Kinking in Snakes?